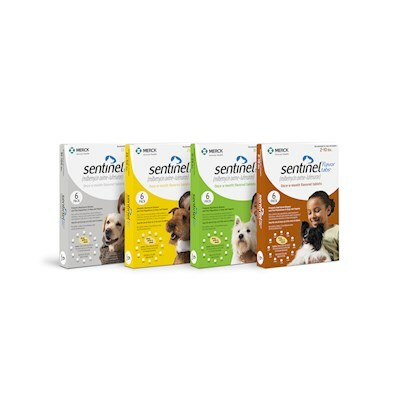 A tasty, chewable tablet, Sentinel for Dogs make it easy to keep your dog protected against fleas and other parasites, including heartworm, for a month. Rated 4.5 out of 5 by 193 reviewers. Great for medication sensitive Dog's. Very effective, no side effects. Using Sentinel for years with excellent results. Great doing businees with you. I like that it takes care of more than one issue at a time! Like once a month dosing and that it covers two areas in one pill. My dogs like it ! Highly recommend for all dog owners!